This is a bonus character for Collateral Damage: The Anime Board Game. Bumble is an Alien with the power to chaperone. 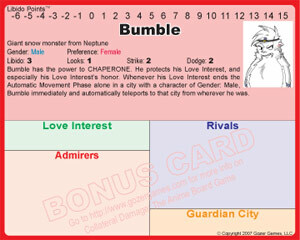 This bonus card is free with the purchase of Collateral Damage: The Anime Board Game.